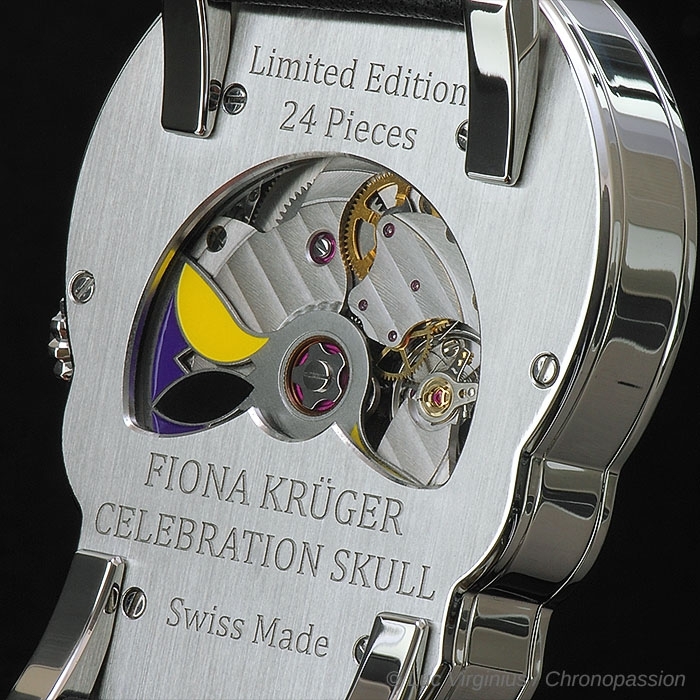 Fiona Krüger | 30'300 € Tax inc.
of life. 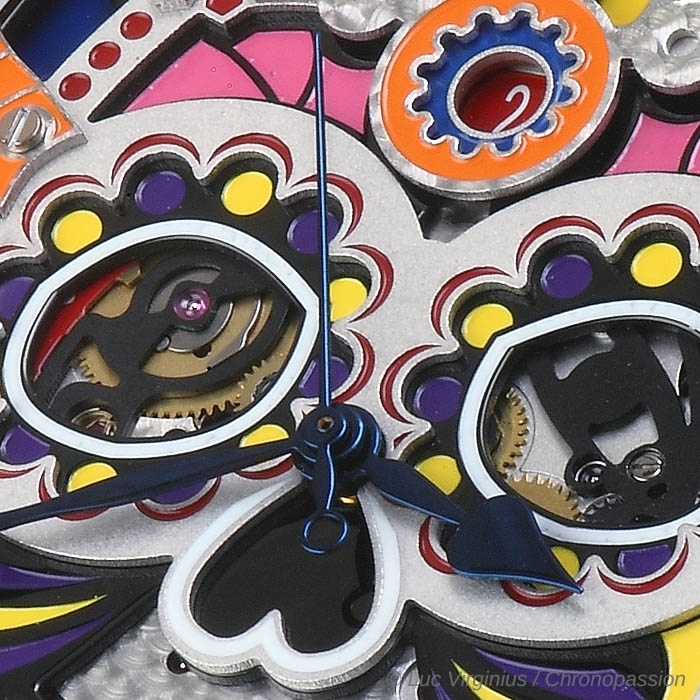 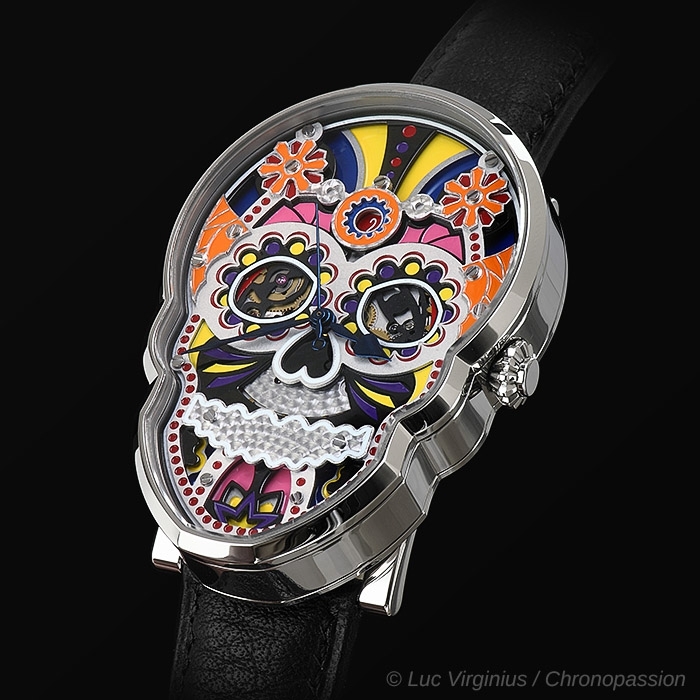 The design for this edition takes its cues from 14th and 17th Century skull horology, the Mexican celebration of Dia de Los Muertos and beautifully decorated skeleton movements found in today’s luxury watches. 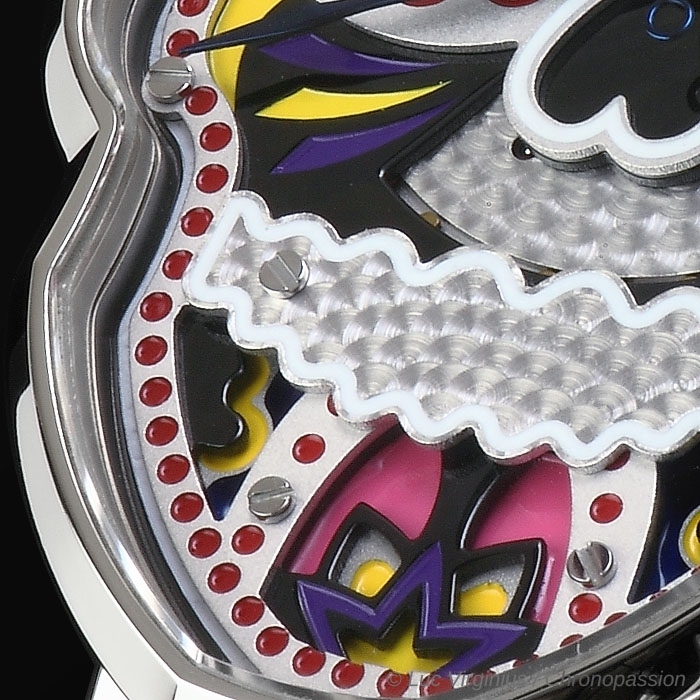 This watch is produced as a limited edition; each piece is hand-made in Switzerland and powered by a Swiss mechanical automatic movement with skeletonised black bridges and customised oscillating mass. 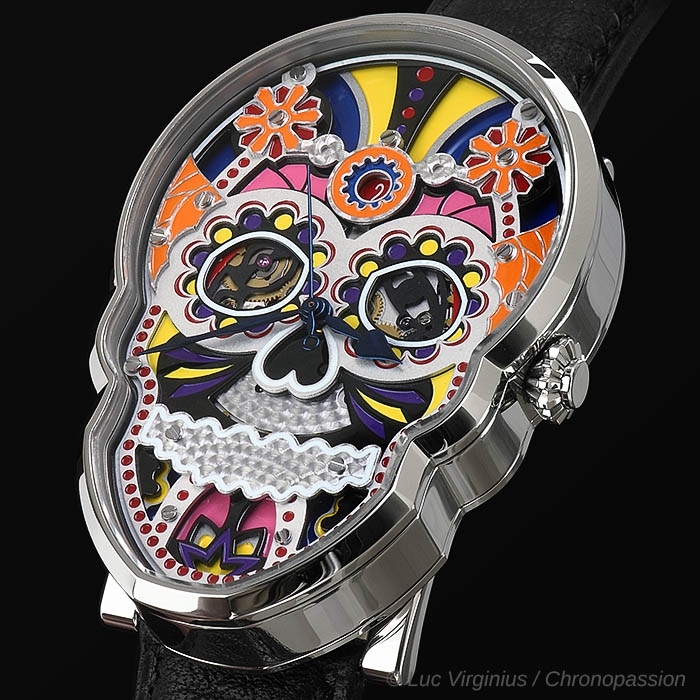 CELEBRATION SKULL’s decorative 3-layer dial and case are hand- painted with coloured lacquer and superluminova. 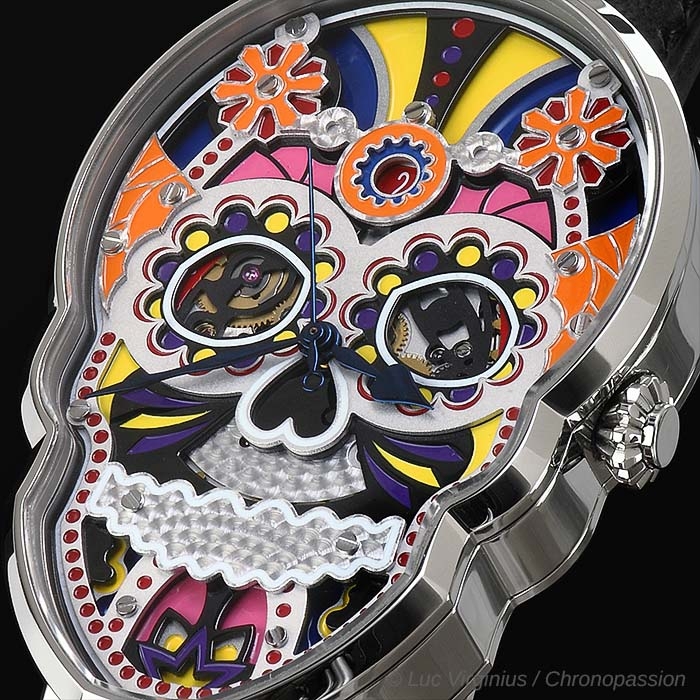 Each colour used in the design of the watch has a specific meaning pertaining to the Dia de Los Muertos celebration, whilst the superluminova details glow in the dark to reveal an iconic skull symbol. 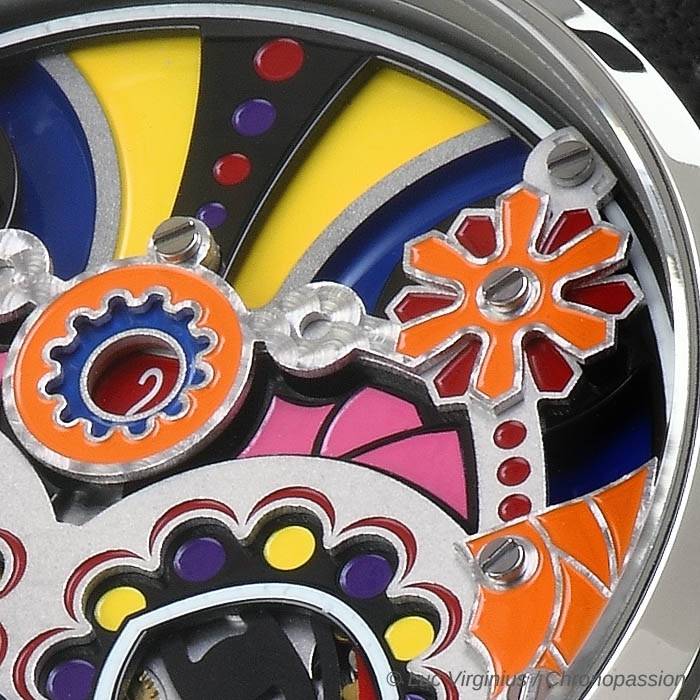 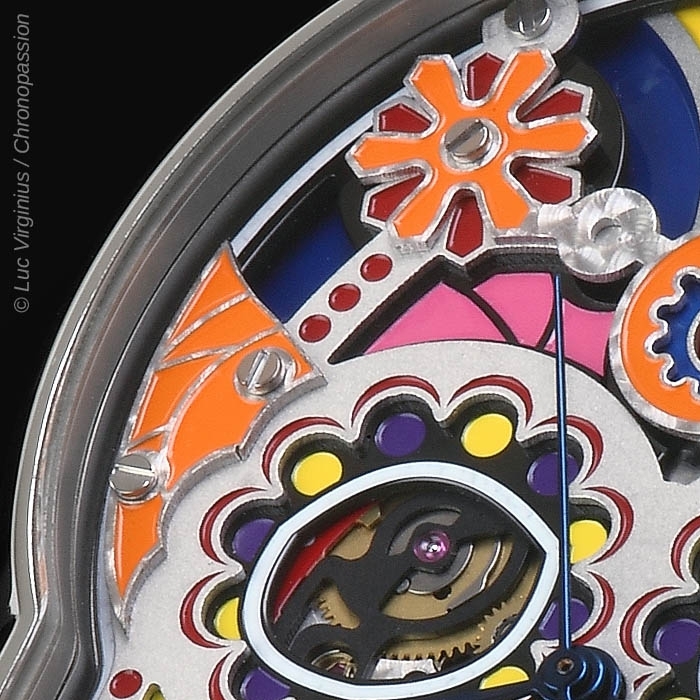 The incorporation of the date into the design of the dial adds an extra functionality to this colourful piece. 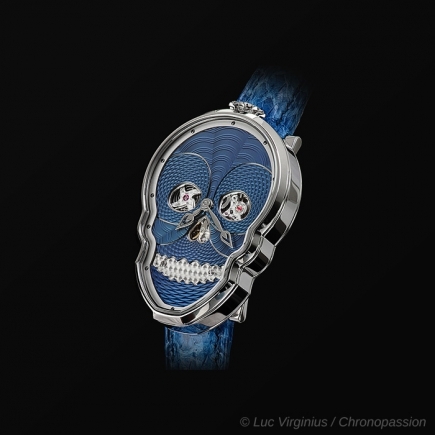 The watch is encased in a hand-polished stainless steel skull-shaped case with a cranium inspired opening to reveal the back of the movement and decorative oscillating mass. 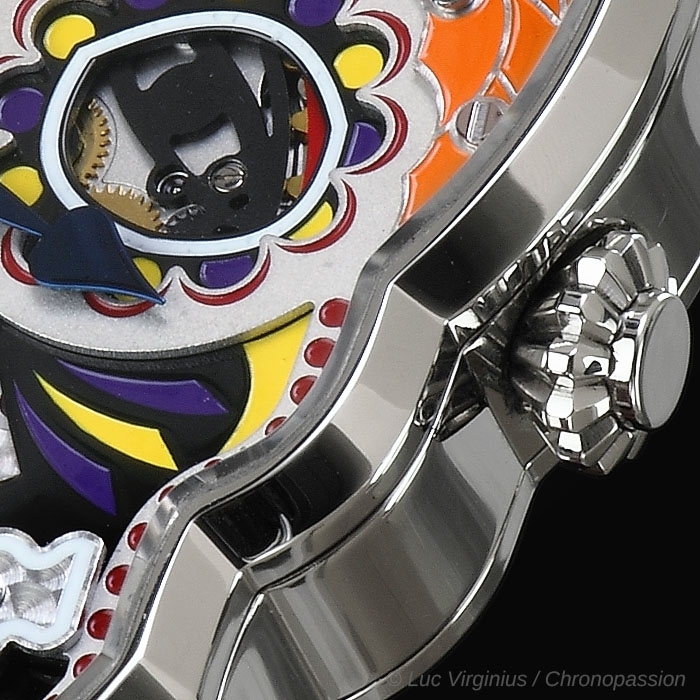 The watch is complimented by a premium hand-made leather wrist-band. 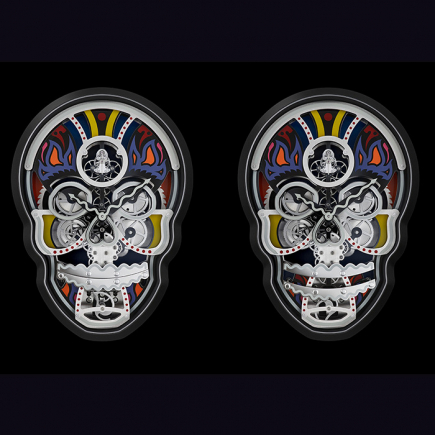 Each colour used in the design of the Celebration Skull has a specific meaning pertaining to the Dia de Los Muertos celebration - the lacquers used in the hand-painting of the decoration were specially selected for this design. 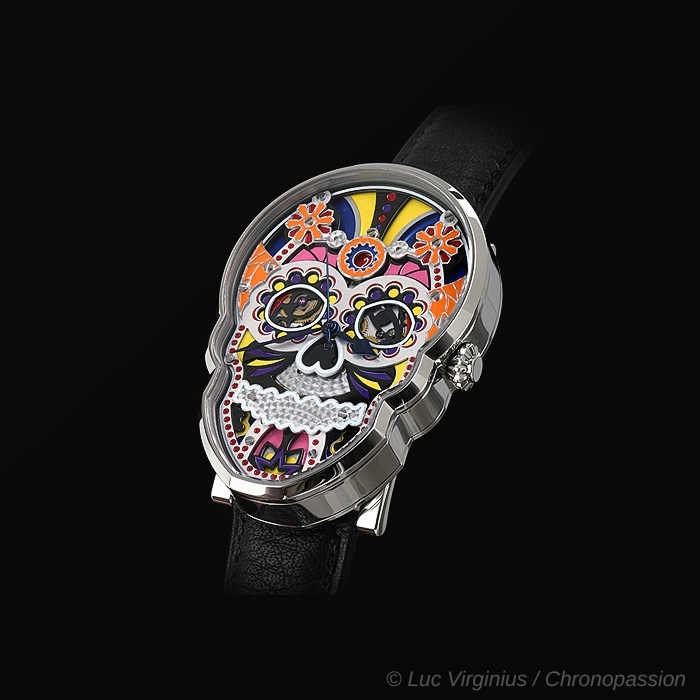 The white details are painted in Superluminova and glow in the dark to reveal an iconic skull symbol.